(MDA) After a two-year process, the U.S. Environmental Protection Agency approved the nutrient regulation plan proposed by the state of Missouri to promote water quality. 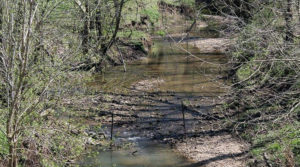 A court ruling required the state to set numeric nutrient criteria for water quality. The Missouri Department of Natural Resources worked to set nutrient criteria for the state’s 1,000 lakes over 10 acres in size. If the EPA didn’t accept the nutrient plan Missouri created, the state would default to the EPA’s national standard. Commodity groups in Missouri, including the Missouri Corn Growers Association and Missouri Soybean Association, were concerned about the cost and implementation of a nutrient standard enforced by the EPA, so they worked with the Missouri DNR to draft a “common-sense based regulation” that would be approved by the EPA. The commodity groups say they were working to develop a nutrient regulation plan that appropriately protected water quality but was not overly burdensome for farmers. Steen said the Missouri DNR plan was a better option than the EPA national standard because the plan was tailored to Missouri.